The specialised system for 24-hour video surveillance of the movement of fuels in the country was presented by Prime Minister Boyko Borissov, the interior and finance ministers and the heads of the services on 8th of February. The system is connected with the systems of the Bulgarian customs, NRA, border police and maritime administrations. This year, the state expects to collect nearly 2 and billion BGN in revenue from excise on fuels. The data in the new surveillance system is gathered at the Interagency Coordination Centre for fight against smuggling located in the directorate for combatting organised crime, where it is monitored by employees from all relevant institutions in a special room. 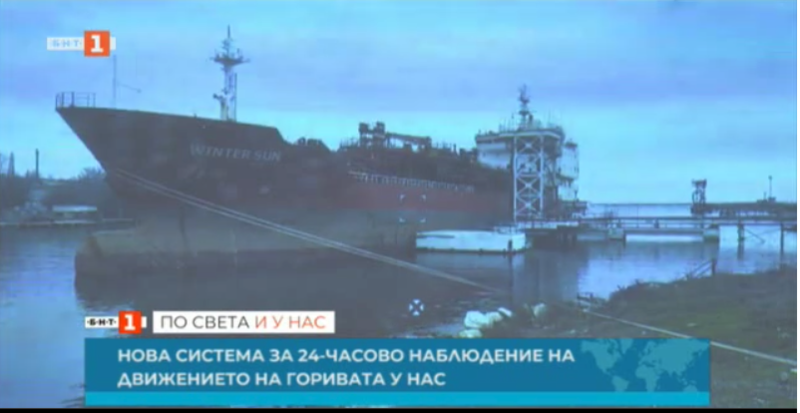 The new system at the Interagency Anti-Smuggling Coordination Centre allows for 24-hour continuous surveillance of each tanker with fuel entering any port in Bulgaria. The system tracks the fuel from a tanker arriving at port until it is transported to a tax warehouse and delivery to petrol stations. The consolidation of the systems of the various agencies has taken a lot of time and effort, the Prime Minister stressed. Data entered into the Intergancy Centre will be recorded on a server and will be archived. The chairman of the Anti-Smuggling Committee in the National Assembly Emil Dimitrov congratulated the Prime Minister and the experts on the newly established system. More than 12,700 inspections were carried out in the fuel sector over the past year. Some 159 sites were sealed due to violations. 1.5 million liters of poor quality fuel were withdrawn from the market. This year, excise tax revenues are expected to exceed 2.4 billion BGN.